Apart from the Bear Call Spread Vs Bear Put Spread strategies, there are more than 25 comparisons of each of these strategies with other option strategies. With all these comparisons, you should be able to filter the ones that work the best for you. Investor Obligation If the prices fall as expected, the trader can make profits and limit his losses, but if the prices fall far more than expected then the trader won’t be able to make any profit. As a thumb rule, the expiration date must be about 30-45 days away in order to be able to take advantage of the accelerating time decay. 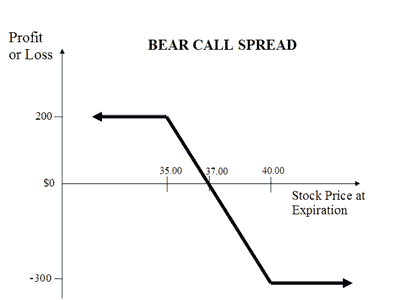 Thus, with this, we wrap up our comparison of Bear Call Spread Vs Bear Put Spread option strategies. As the name suggests, if you are looking at a slightly bearish market position and are open for a little risk, then bear call spread is something you can try in your trades. Having said that, the profit you can expect is going to be on a relatively limited level while using this strategy. 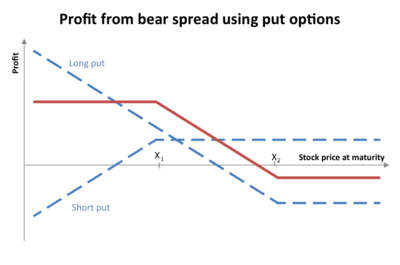 At the same time, if you are looking to make some money from a market decline and can take some basic risk – then Bear Put Spread options strategy makes sense to you. This needs to be known that the profit you get using both of these strategies is also limited in scope.